With Homebyme, you can now separate your room to have different flooring and wall coating inside the same room, without adding a wall. It’s ideal when you have a kitchen opened to the living room for example. 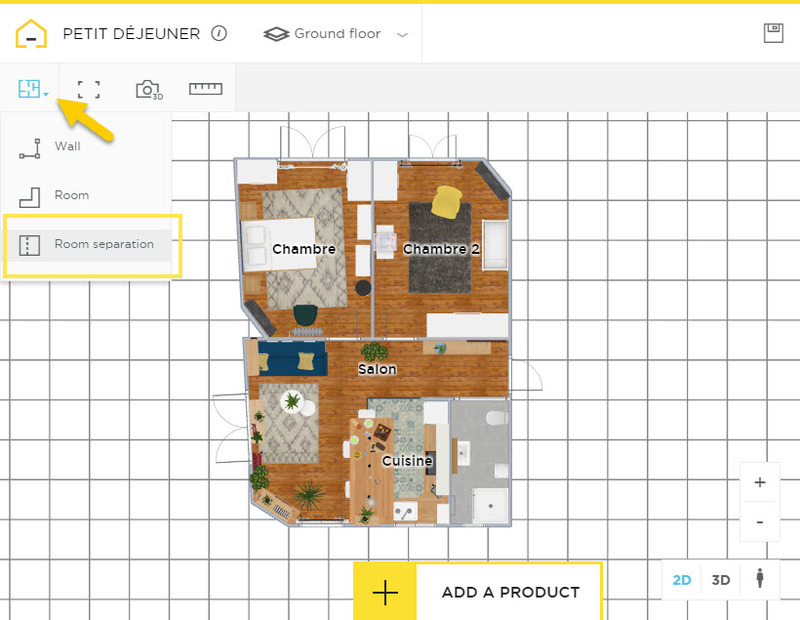 To do it, open your project, and select Room Separation in Design your floor plan. Draw the separation of your floor directly on the 2D view. 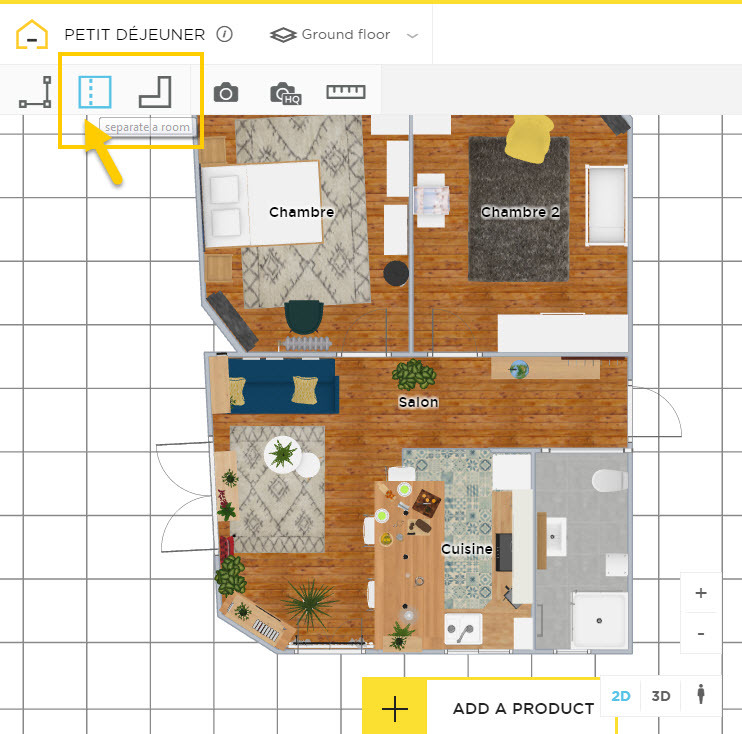 Then select the area you want to change the flooring or the wall and select a new material in the top right corner, as usual. And it’s done! Wouldn’t it be a dream come true to have a holiday home in the hills or mountains where snow covers everything and the loudest noise is the wind sighing through the trees? 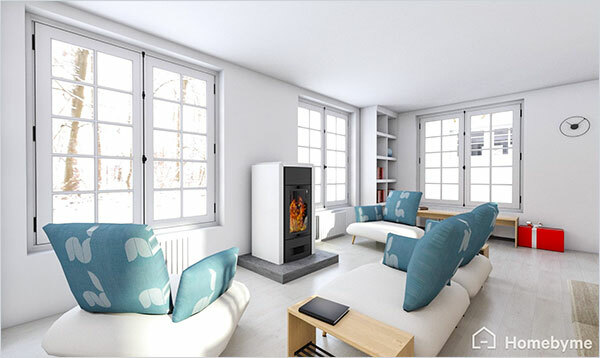 Inside a big hot stove keeps you warm as you relax and celebrate with family and friends. This holiday home is definitely done in a Scandinavian style, which fits its smaller spaces. Big windows throughout let in lots of natural light and hanging lights brighten the evenings. The palette is kept light with accents of wood and bright splashes of color. Furniture is kept to a minimum and uses clean lines and organic shapes. Welcome! The largest, most luxurious bathroom and the smallest, most basic powder room in your home should provide two of your most basic needs: privacy and safety. Plan ahead for the functional parts of bathroom design and you’ll have both – and great style too! Bathrooms have become a center of design creativity, so let your imagination run wild. There are amazing materials and accessories available that can make your bathroom a fantastic place to be. Be sure to provide plenty of light, whether it’s natural light or moisture-proof electric lighting, to make your bathrooms feel warm and cozy. Provide good ventilation so that moisture can be vented quickly. Use textured surfaces for the floors and don’t use rugs which can cause slipping or tripping. 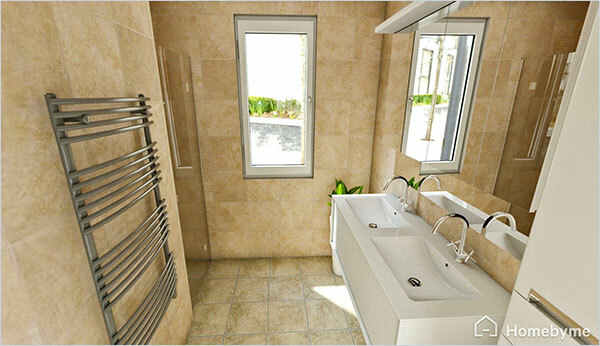 Each of these bathrooms has its own style so you can get some great ideas for your own bathrooms! 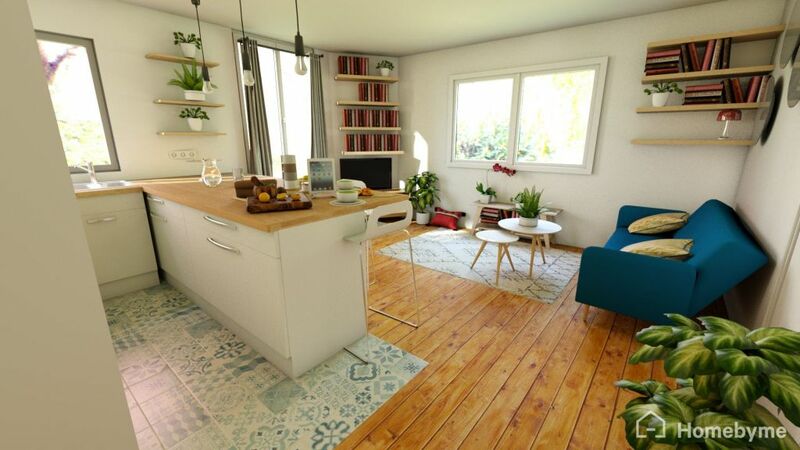 The winner of the Homebyme November project of the month is Lessingstrasse, which was envisioned and created by Sven (svnstfns). Congratulations! It looks like a great place to have a celebration party. This dining room table is at the center of activity. Even in this one image we can see how the warmth of wood is used to set the theme of the home. 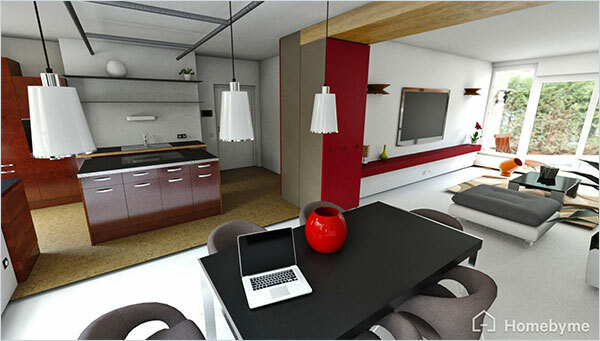 Rich, deeply colored kitchen cabinets and the giant main beam are great starting points for more rich reds. The eye is naturally drawn to the beautiful red vase so we can use it as an orientation point.